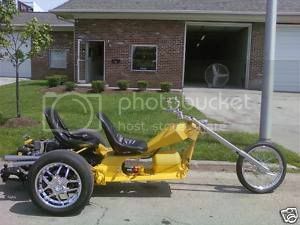 Never get tired of looking at different trikes and the VW powered Trikes are some of the coolest! Put your pictures up with a brief description here. 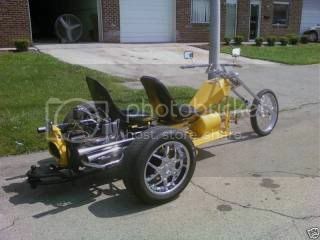 Here is my 75' Vw/Porsche trike. Photos did not attach on previous message. Never get tired of looking at different trikes and the VWs are some of the coolest! Put your pictures up please. 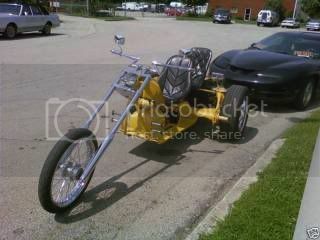 Ok, here is my trike. The rear is a 76 type 2. I just installed a Subaru engine and re-built the rear.